A Keepsake Floral Gift Card makes the perfect gift for that upcoming engagement party, bridal shower or wedding. Coordinate with family or friends, the bridal party and bridesmaids to make it a larger denomination and see the delight on your bride’s face! Your Gift Card will be a contribution toward the custom-crafted keepsake that the bride chooses – with the help of one of our Design Consultants a few weeks after her wedding. 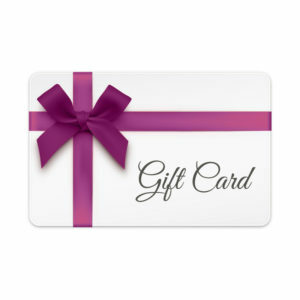 Purchase a gift card in the denomination of your choice (minimum $50). Your Keepsake Floral Gift Card may be sent directly to the bride in your name or we can send it to you so that you may present it at the time of your choosing.